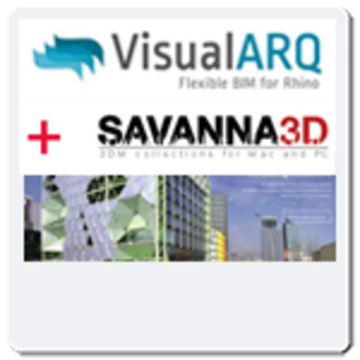 VisualARQ 2 is an application designed for Rhino users working in the architecture sector. ** Download ONLY ** This product is only available as a digital download, no physical product will be shipped. You will receive the CD-Key by email. VisualARQ 2 improves upon VisualARQ 1 and adds a lot of new functionality you won’t find in any other BIM solution. Check out all of the new features for VisualARQ 2. Videos of VisualARQ 2 features. Download VisualARQ 2 Release Candidate. Do you already own a VisualARQ 1 License? Upgrade to VisualARQ 2 for free!